For the third consecutive year, Chopard is presenting a timepiece from its couture capsule collections. L.U.C XP comes fitted with a Merino wool strap, made from a breed of sheep renowned for the finesse of the yarn it produces. 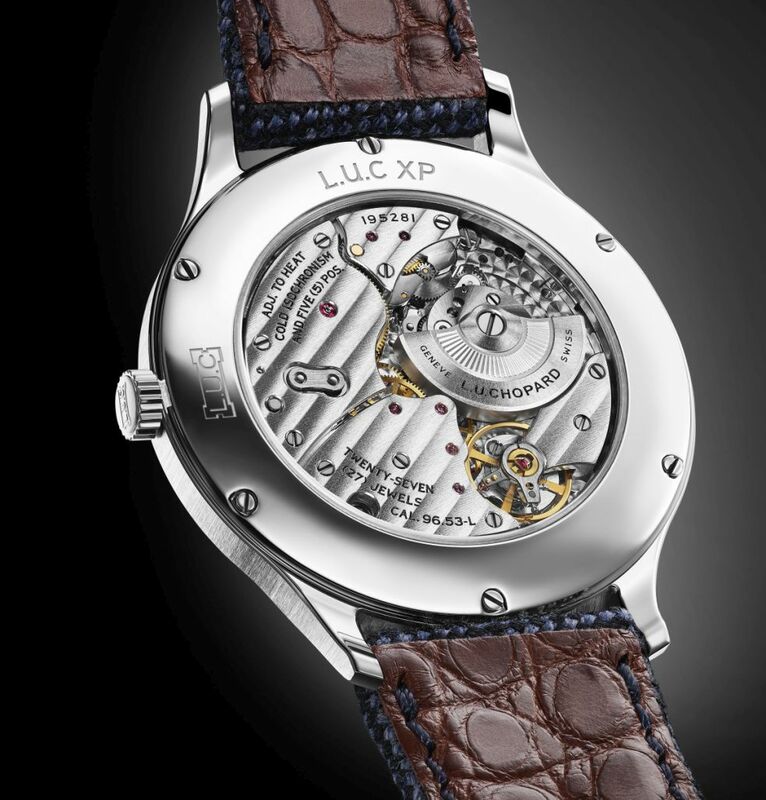 In addition, a cognac alligator leather strap with brown alligator lining is included. 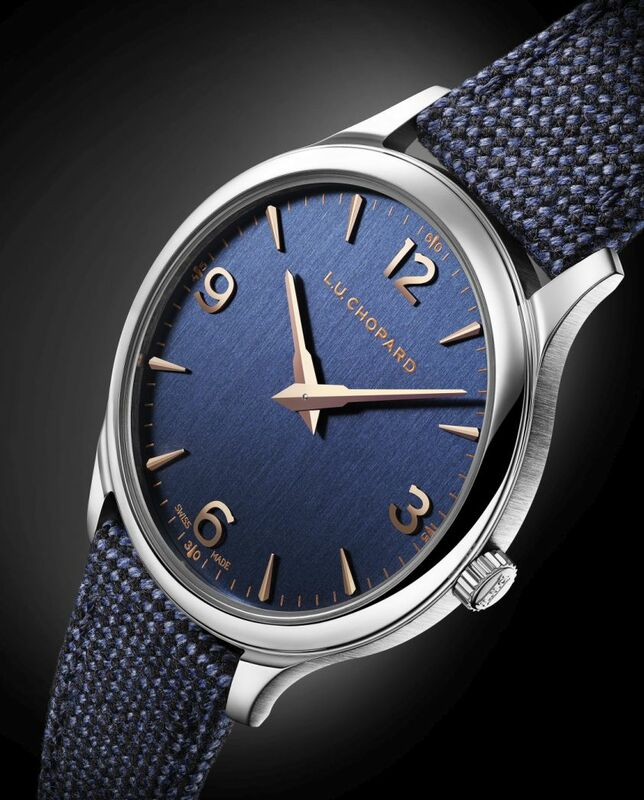 Dyed in deep blue, the braided fabric is a natural follow-on from the blue cashmere strap launched in 2017 on a previous L.U.C XP model and the embossed leather one introduced in 2018 with the L.U.C Quattro. The case, in stainless steel, measures 40mm x 7.2mm. It has an AR-coated sapphire crystal, a sapphire display back, and it is water resistant to 30 meters. Movement is the Swiss automatic Chopard in-house caliber L.U.C 96.53-L with 27 jewels, 28,800 vph and a power reserve of 58 hours. It features the two barrels Twin technology, and an engraved tungsten micro-rotor. Bridges adorned with Côtes de Genève motif. Black engravings. 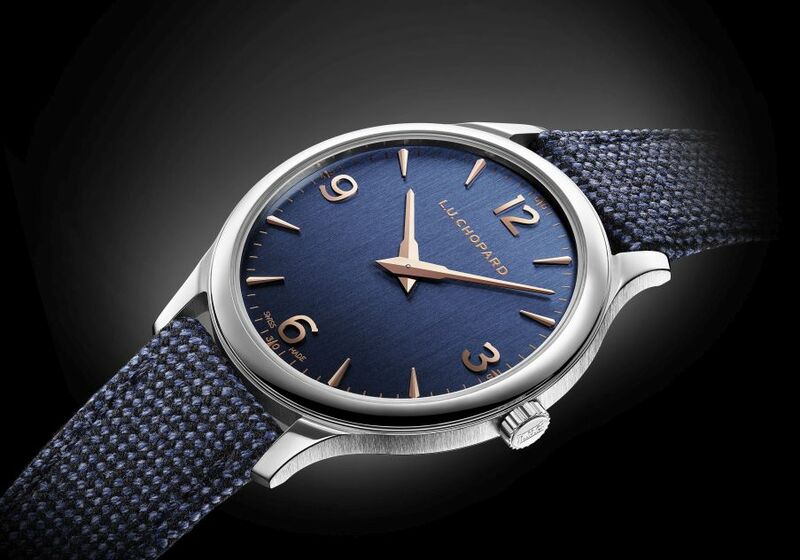 It has a navy blue dial with vertical satin-brushed finishes. Applied rose gold-plated numerals and hour-markers. Applied rose gold-plated Dauphine-fusée hands. 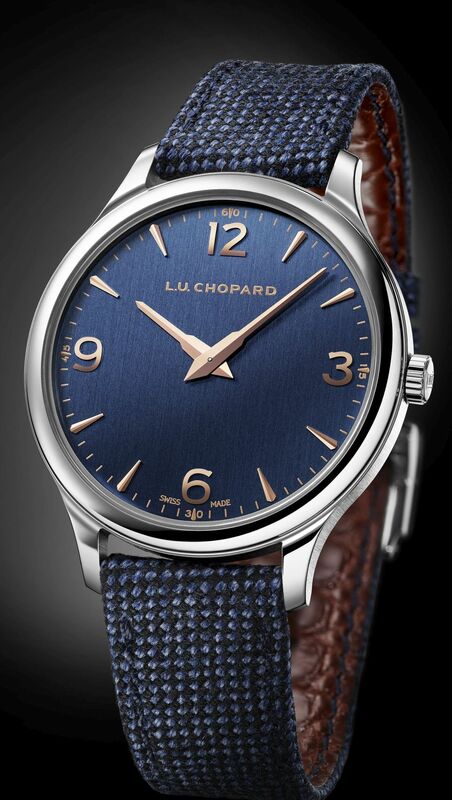 It comes on a hand-sewn blue Merino wool strap with brown alligator leather lining with a steel pin buckle. A second strap is included, done in cognac-colored alligator leather with brown alligator leather lining, hand-sewn.